Speaker Chamal Rajapakse has ordered Leader of the House to propose a motion preventing Deputy Minister Sarana Gunawardena from attending Parliament for one week. unruly elements in the Opposition. Well done Mr. Speaker ! 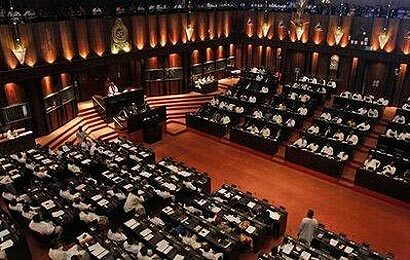 It was a planned action by UNP to create a disturbance and distraction during the Budget Speech. The UPFA hotheads fell for it by reacting angrily. They should have left it to the Hon Speaker to call the UNP to order and even expel them from the parliament if necessary. I hope the UPFA has learnt a valuable lesson to maintain dignity and decorum of the house despite provocation by the opposition, who will have the last laugh.